Aeon and honestbee signed a memorandum of understanding, and now Aeon’s groceries will now be available on honestbee. The partnership is one year in the making, and sees the retail giant going for an omni-channel approach. Retailer giant Aeon will start delivering groceries in Malaysia as a part of their new omni-channel approach, and they’ll be using honestbee to do it. Both parties just signed a memorandum of understanding (MOU)—a quid pro quo arrangement between honestbee and Aeon to merge their strong points into a grocery powerhouse. Honestbee is a personal shopper service that can pick out and deliver groceries at a set time. 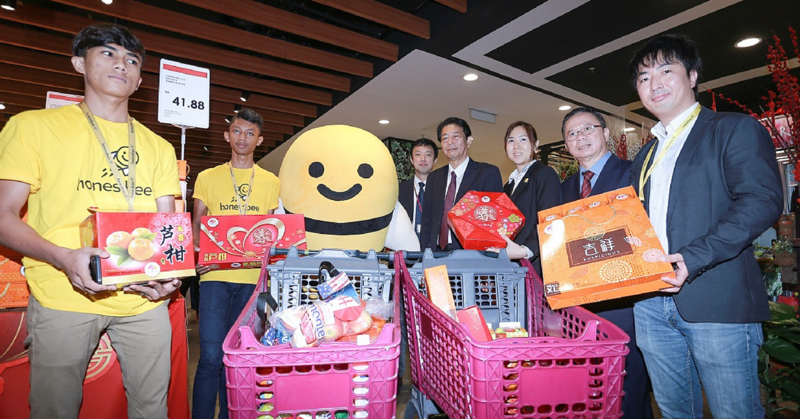 On Aeon’s side, their Mid Valley store will be initiating honestbee’s personal shopper service. Customers within a 17km radius from the store will be able to get AEON goods by logging onto honestbee. It seems like for now, honestbee will effectively serve as Aeon’s e-commerce arm, though this won’t be AEON’s first try at it. The company sold its goods on shoppu.com.my starting late 2015, selling electronics, fashion, household items, among others. Apparently, returns from the website as of 2016 remain marginal. Honestbee has previously inducted other grocery providers like Ben’s Independent Grocer and Hero Market into its fold. “We’re glad that Aeon chose to partner with a humble startup like honestbee,” said Marianne Chuo, Country General Manager of honestbee. “We contacted Aeon a year ago, and the conversation was quite smooth. Aeon is one of the biggest in Malaysia and we are proud to announce that AEON is now on honestbee,” said Marianne. Currently, 5,000 Aeon products are on honestbee. For now, Chinese New Years goods are currently on board, as well as the usual staples like fresh groceries, health and beauty necessities, and the like. But according to Marianne, they’re looking to onboard more onto the platform, in phases. To mark the partnership, new customers are given an RM50 discount voucher with a minimum purchase of RM120, with the discount code AEON50HB. The promotion is valid until 1st of March 2018.